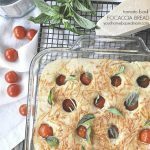 Refresh your bread making skills or learn some new bread making skills with this easy, delicious and versatile recipe for Focaccia Bread. 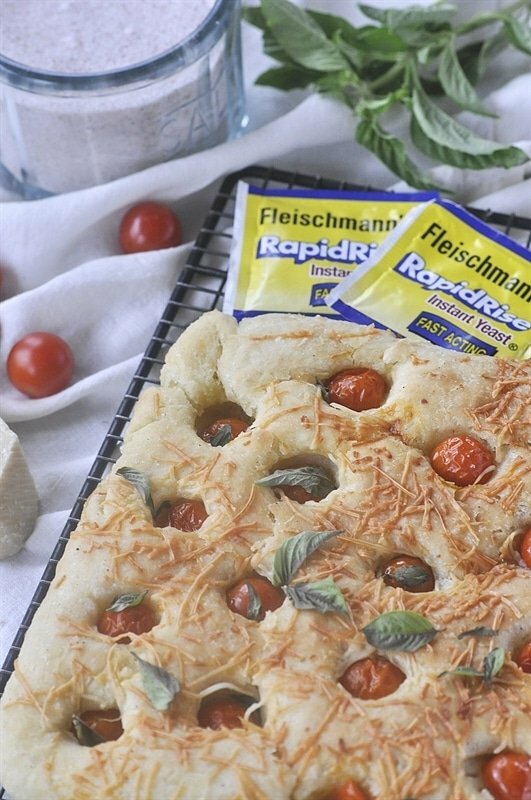 Today’s post is an ongoing partnership as a Bake a Little Extra Blog Ambassador, sponsored by Fleischmann’s® Yeast. All opinions are my own. It’s a new year and I’m ready to get back to basics. After all the craziness of the holidays and the fancy foods I’m ready for some good, down home- cooking! It’s been cold here in the Pacific NW. We even had snow this last week which doesn’t happen very often. My favorite thing to do on a cold snowy day is make up a batch of soup and practice my bread making skills. 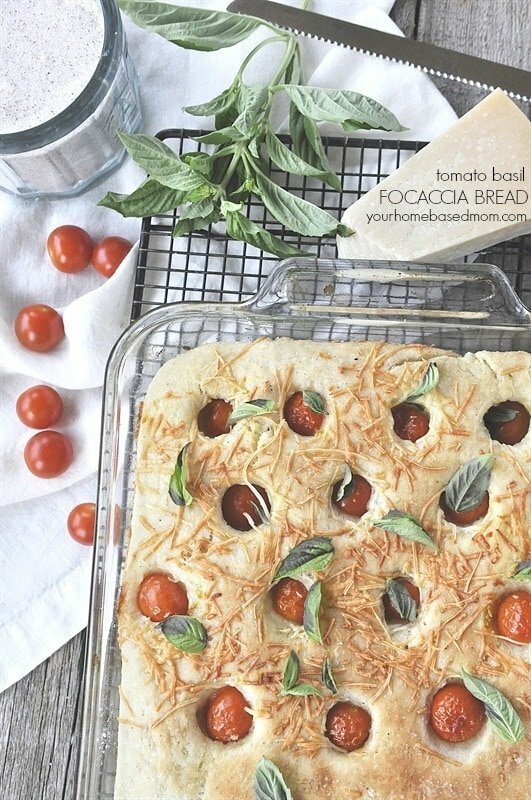 One of my favorite types of bread is focaccia bread. I like it for several reasons, it’s delicious, it’s easy and it’s versatile. If one of your New Year’s Resolutions is to work on your bread baking skills this is the recipe to try! First, it’s easy. 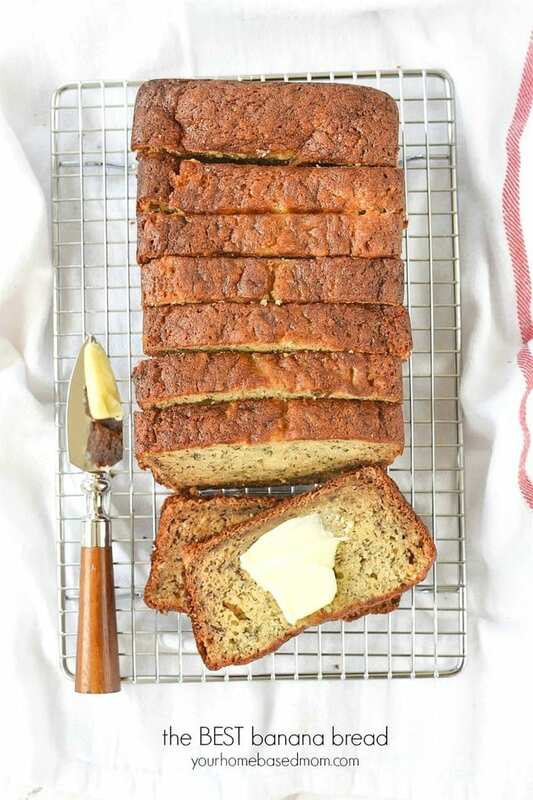 This recipe is perfect for experienced bread makers and beginners alike. 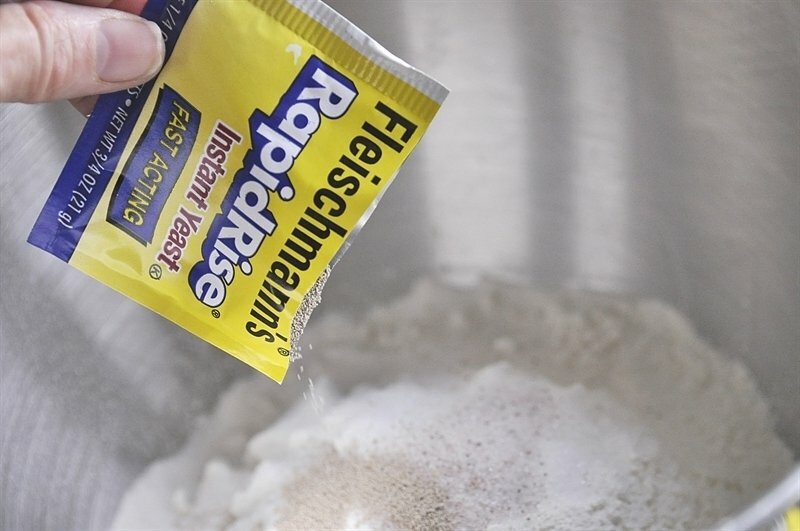 It uses Fleischmann’s® RapidRise™ which cuts down on rising time. 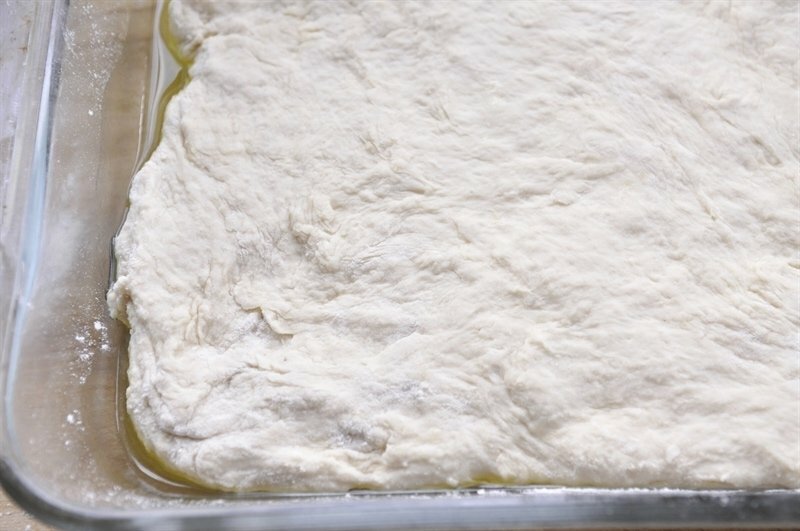 Plus,there is no proofing of yeast – you just add it right in with your other dry ingredients. For a delicious meal on a cold winter’s day (or whenever), you can start the bread right before you begin fixing soup and by the time the soup’s done, your bread will be done too. 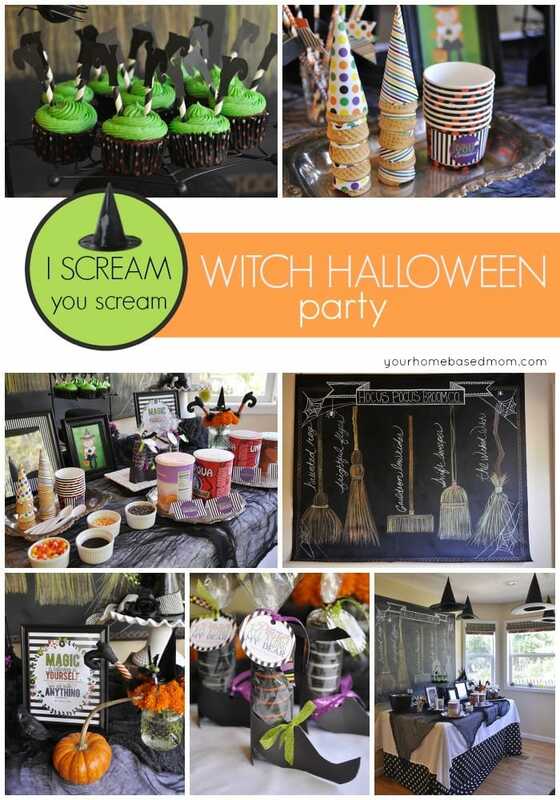 It is also easy because all you need is a wooden spoon and a bowl. No mixer necessary. The dough is spread into a 9 x 13 pan, so no fancy rolling or shaping of the dough. Drizzle the bottom of your pan with olive oil. The oil gives the bottom of the bread so much great flavor and texture. After putting the dough into the pan add your toppings. 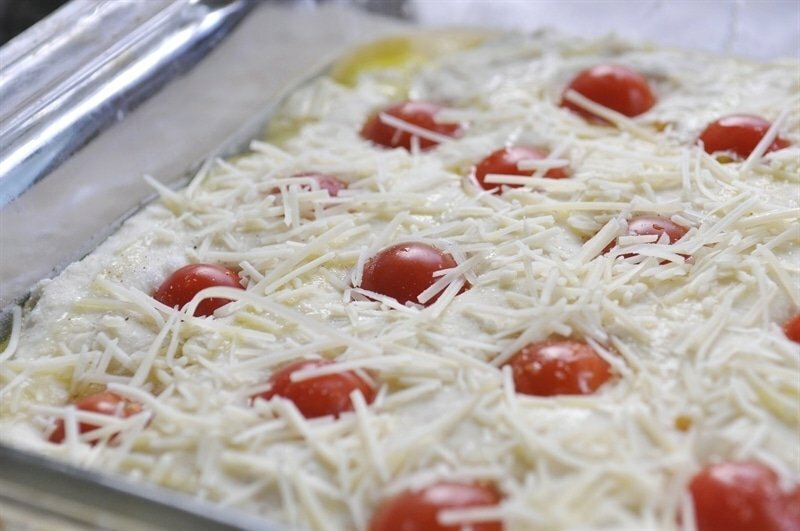 I drizzled it with some more olive oil, pressed halved cherry tomatoes into the dough and then sprinkled it with freshly grated Parmesan cheese and gave it a sprinkle of sea salt. Let it sit for another 15 minutes and then bake. After I removed it from the oven I sprinkled it with some fresh basil leaves. 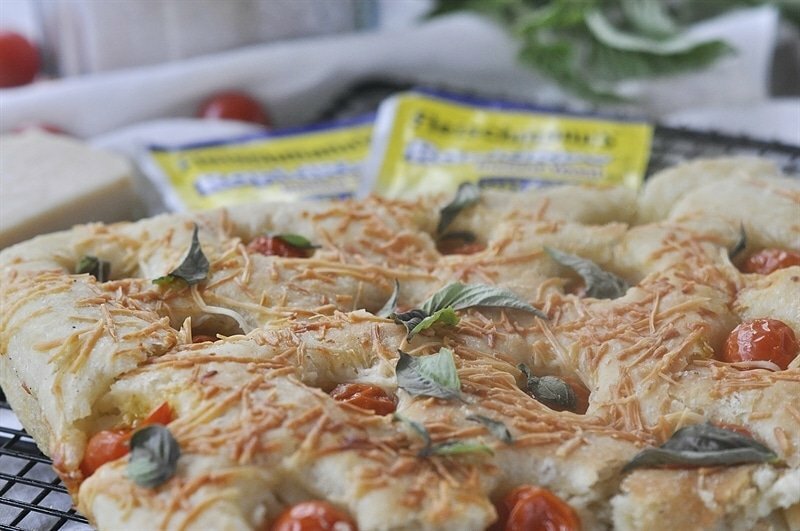 Focaccia bread is versatile. 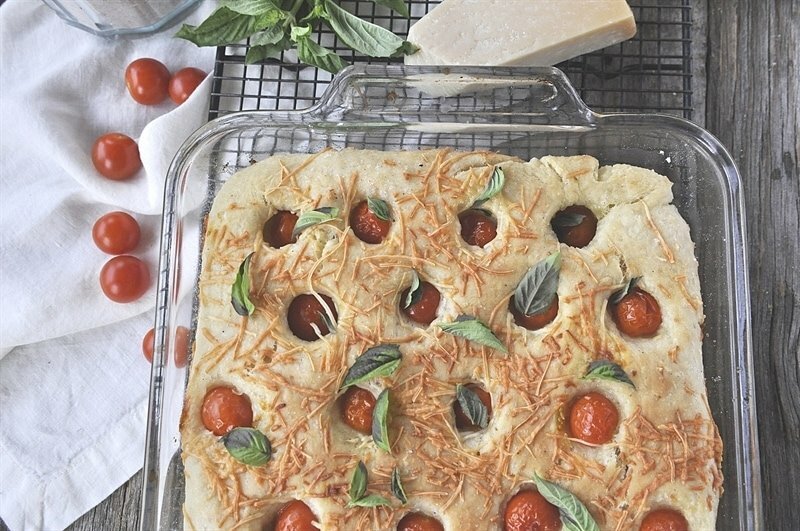 I topped my focaccia bread with cherry tomatoes, sea salt, fresh basil and fresh parmesan cheese but you can get as fancy or simple as you like. I like it just as well with a drizzle of olive oil and a sprinkle of sea salt. I also love to use the leftover focaccia bread for sandwiches. It slices nicely and makes for a delicious sandwich bread. The other thing I love about this recipe is that it makes plenty to share! Whenever I make soup and bread I love to share a little extra with a friend oror neighbor. And did I mention it’s delicious? Any way you slice it, or top it, it is just plain yummy. Whether you eat it all by itself, with soup or as sandwich bread, you’ll love it. 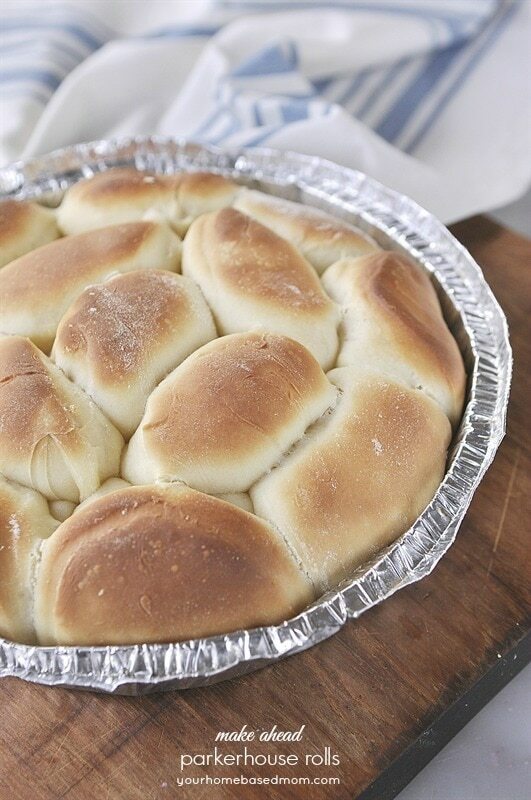 Nothing beats some warm, homemade bread for dinner! The original recipe can be found here along with lots of other great recipes. Combine water and 2 tablespoons olive oil in a 2-cup glass measuring cup OR microwave-safe bowl. Microwave on HIGH in 15 second increments until very warm but not hot to the touch (120° to 130°F). Add to flour mixture. Stir with a spoon until well mixed. Drizzle 2 Tbsp olive oil into 9 x 13 pan and spread dough into pan. (Don’t worry if the dough isn’t even or filling the corners.) Cover with towel; let rise in warm place until doubled in size, about 30 minutes . 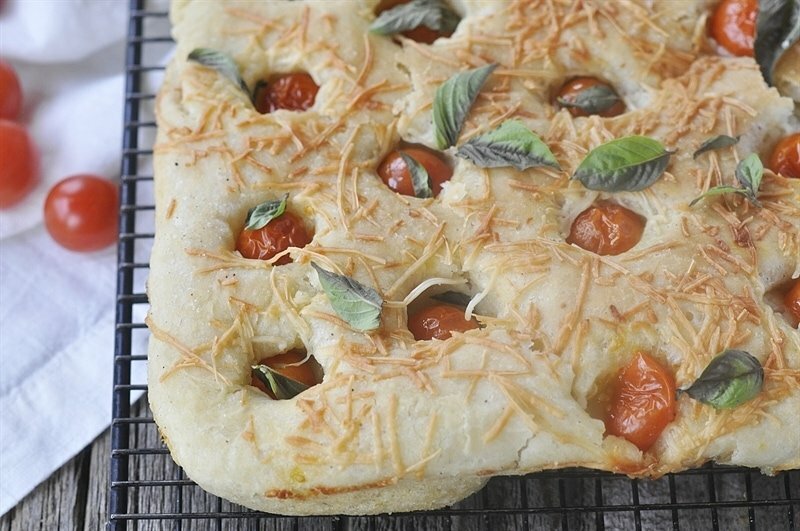 Push halved tomatoes into dough with cut side down. Sprinkle with Parmesan cheese and sea salt. I need this in my life! YUM! 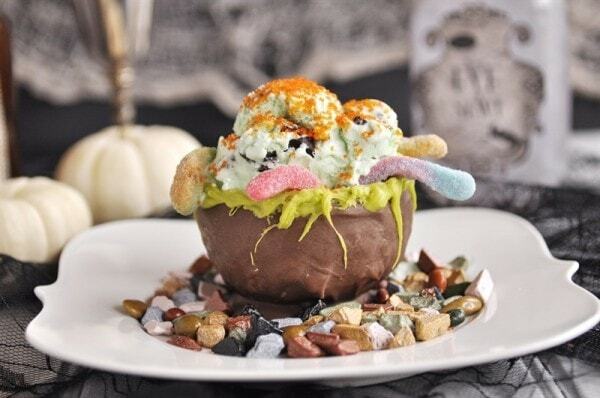 Wow – this looks amazing!! Totally going to try it! 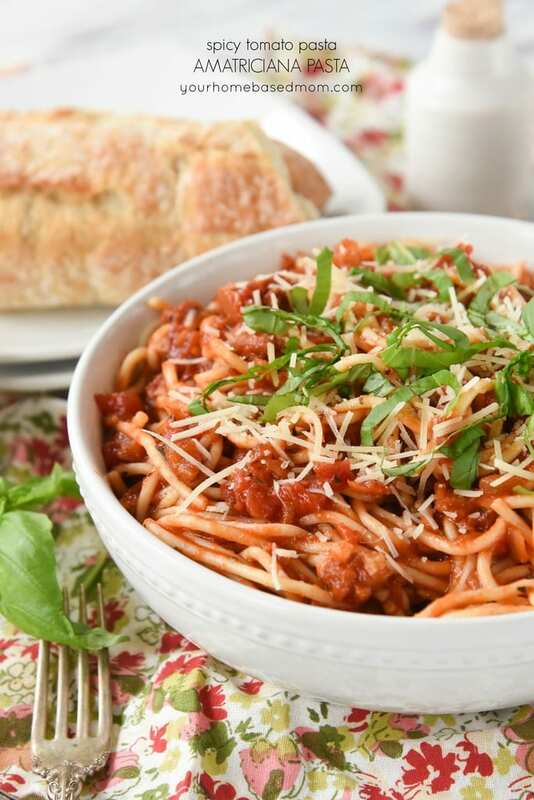 This looks delicious – especially with fresh tomatoes from the garden! Yum! All of my favorite ingredients in one thing. Yum!